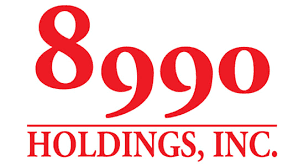 8990 Holdings, listed on the Philippine Stock Exchange under the symbol “HOUSE” and one of the fastest growing real estate developers in the Philippines, announced that its board of directors approved a P2 billion share buyback program that excludes the company’s majority shareholders from participating in the program. 8990’s board of directors authorized the repurchase of up to P2 billion of the company’s common stock. The purchases may be up to 18 months from the approval unless the period is otherwise shortened by the board of directors. The purchases will depend on market conditions and subject to regulatory considerations. Controlling shareholders such as iHoldings and Kwantlen Development Corporation, which own a combined 61.88 percent stake in 8990 Holdings, voluntarily offered not to participate in the repurchase program as an act of good faith to its existing shareholders. Under the program, share buyback transactions will be triggered in cases the company feels the shares are “substantially undervalued,” there is high share price volatility or that the buyback would enhance shareholder value. “We plan to repurchase shares using cash and book as treasury. We assure our shareholders that the implementation of the program will not affect any of 8990’s prospective and existing projects and investments,” noted Uy. 8990 aims to be one of the Philippines’ top real estate developers. Its landbank of close to 540 hectares is projected to deliver approximately P154 billion in sales in the next eight to ten years. For 2019, 8990 is guiding a 17 percent year-on-year growth on its topline from P11.5 billion to P13.5 billion by the end of the year. 8990 Holdings, through its DECA brand, has completed more than 50,000 units over the past 14 years nationwide. Its projects in Luzon, particularly Urban Deca Homes Manila in Tondo, is expected to generate close to 50 percent of 8990’s 2019 revenue target of P13.5 billion which is seen to translate to P5.2 billion in net income.